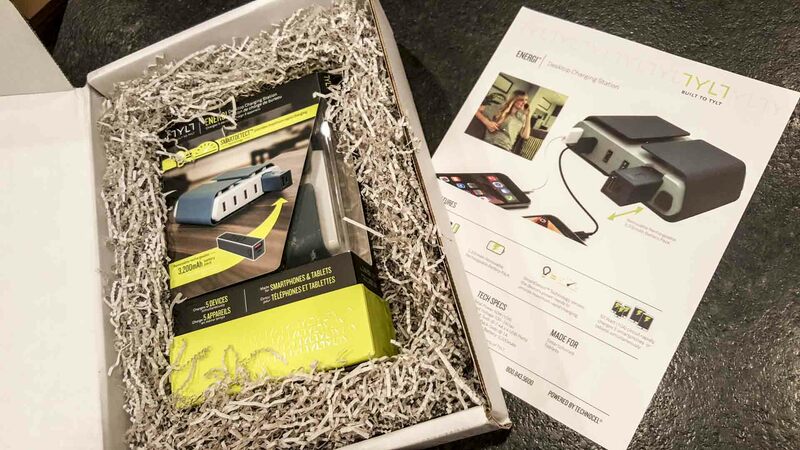 August 19, 2016 by John P.
A couple of days ago the folks at Tylt sent over one of their new ENERGI Desktop Charging Station’s, and I’ve been using it ever since. It’s a wonderful little unit that has a reasonably small footprint, good looks, and one very special feature – a built in removable battery! 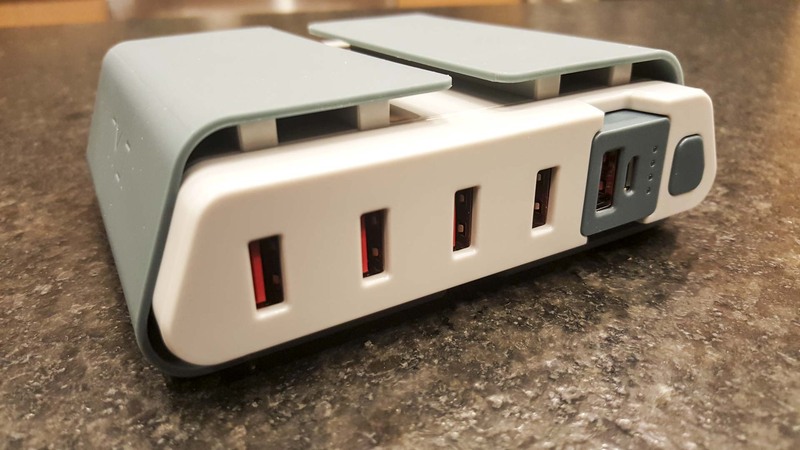 Tylt’s new ENERGI Desktop Charging Station is currently in the middle of a crowdfunding campaign, and doing quite well over on Indiegogo. 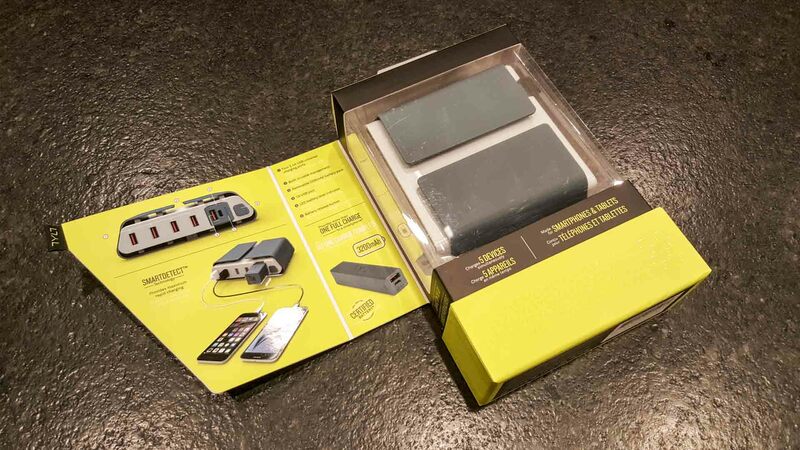 From the first look, the packaging is attractive and functional. And so is the actual unit. It offers 4 ports that can charge with up to 2.4amps of power, depending on what the device being charged is capable of, and also has a slot for a 3,200mah battery that can be ejected and carried with you to top off a mobile device on the go. When you return, just pop the battery back in the charger and the lights will blink to indicate that its refilling the juice for later. 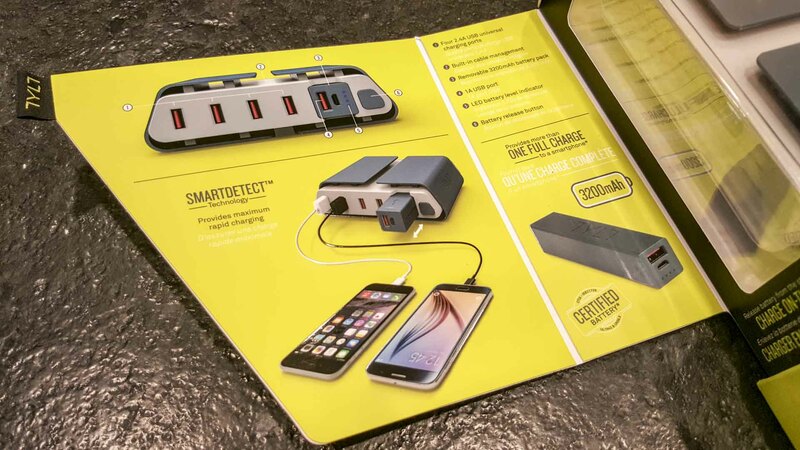 The ENERGI Desktop Charger is due to cost $99 when it hits the shelves, but early backers can pick one up for $55 on the Indiegogo campaign, or $65 with a pair of Tylt charging cables. Looks great, cant wait for mine!